Here at Fort Collins Foreign Car Service, we provide foreign car repair in Fort Collins. We love what we do, and think it shows in our work. Want to see for yourself? Drop on down by our shop or give us a call for more information. 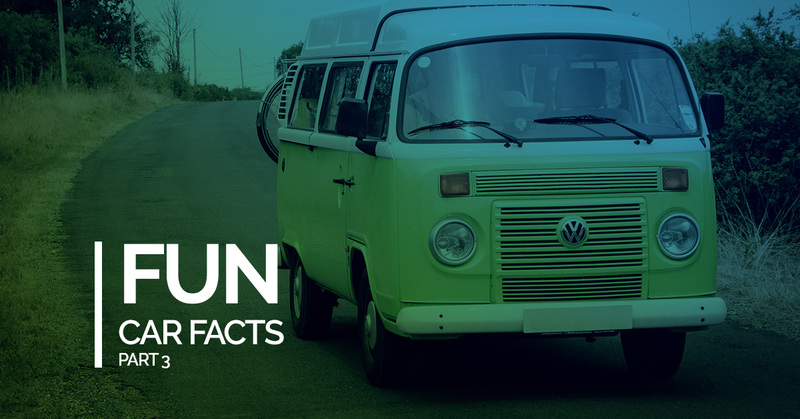 In the meantime, here are some fun car facts that may interest you. We shouldn’t hold it against the car, but the Volkswagen was ordered to be commissioned by none other than Adolf Hitler. He ordered Ferdinand Porsche to manufacture the car, whose name literally means the “people’s car” in German. In fact, a first sketch of the car allegedly written by Hitler in the 1930s looks very similar to the first Beetle ever to be produced. Few auto manufacturing companies have seen success like Ford has. In fact, Ford is the main reason why we adopted the 40 hour work week (thanks Ford!). During its heyday, the Model T Ford made up a full 55 percent of all of the cars in the world. This was back in 1916, but that record is still unbroken. Did you know that the first cars on the road didn’t have a steering wheel? No, instead they used a lever to steer. This lever would work like a modern video game joystick, but obviously didn’t offer the maneuverability of modern steering wheels. How you take care of your car is just as important as the quality of the car that you get. Unfortunately, many people around the world neglect their auto maintenance duties. In fact, it is estimated that 60 billion dollars worth of necessary auto repair is neglected every year. Don’t become another statistic, bring your car by our shop today! Speaking of regular maintenance needs, we should also recognize the maintenance that car owners DO put into their vehicles. It is estimated that the average car owner will spend 400 dollars a year just on regular maintenance, including diagnostics, tune ups, and scheduled maintenance. That is not even getting into the costs of repairs! As with consumption of most items, the United States leads the world in gas consumption. It is by a wide margin too, as our country consumes a full half of the entire world’s gasoline. By far, the most prominent and popular car color in the world is white. While we certainly won’t fault a well applied white paint job, it is surprising that white takes the cake. Cars are multi ton masses of metal careening at high speeds. That is why it is so important to have safety features that protect the driver and passengers. One such safety feature is the air bag, which inflates completely within just 40 milliseconds of an impact. That is a fast reaction time, and it needs to be to save lives! Have you ever wondered how people pass the time on long trips? According to certain studies, most people do it by singing. In fact, a full 90 percent of drivers reported to regularly singing when behind the wheel. Recycling keeps us from wasting resources and hurting the environment. The automobile industry is cutting into their carbon footprint by recycling their materials. In fact, the automobile is ranked as the most recycled consumer product around the world. Sometimes exclusivity is a selling point. This is obviously the case for car manufacturer Ferrari. In fact, Ferrari only manufactures a maximum of 14 cars in a single day. By comparison, Ford produces at least 8,000. No wonder Ferraris are so expensive. Cars are so advanced nowadays that we can forget that not so long ago, much of their design was based on trial and error. This was especially important in regards to safety features, which weren’t up to snuff for decades after cars came out. In fact, the seat belt wasn’t even offered as a standard feature in cars until 1963. And that was only for front seats; rear seat belts did not become standard until 1965. The Big Three, in America, refers to the biggest three car manufacturing companies. These are Fiat Chrysler, Ford, and General Motors. These companies’ cars are sold around the world, with 97,000 cars sold to Japan alone from the Big Three in 1995. Speaking of basic features, the radio was not even offered as an accessory until 1923. Cars must have been boring to drive in before that (what would people sing to? ), but it was still decades before seat belts would be added. Priorities, people! The National Insurance Crime Bureau estimates that 1.2 million vehicles get stolen every year in the United States alone. That is one vehicle stolen every 30 seconds. This costs consumers over 7.5 billion dollars every single year. Behind selling drugs, no criminal market is as lucrative as grand theft auto. Even knowing all of that though, about 21 percent of car owners still do not lock their vehicle’s doors when unattended. Hopefully these facts proved interesting. If you are looking for foreign car repair service in Fort Collins, then Fort Collins Foreign Car service is the place to go! Come by our shop and see our work for yourself. Or give us a call for more information. One of our friendly and knowledgeable representatives will be happy to answer any questions that you may have.